It looks like Alaska Airlines has added Saturday service to Loreto. Details forthcoming. 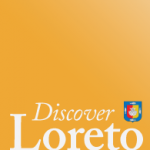 This is good news for Loreto and tourism for the area! Still awaiting official confirmation from Alaska.